For the month of April I'm featuring my Silly Duck pattern. As with previous featured patterns, it's 50% off in both my Etsy and Ravelry shops (on Ravelry you get the discount when you check-out). Read below to find out a little more about the pattern. Later in the month, I plan to make a photo tutorial with more details on how to make the bill and feet of the duck. 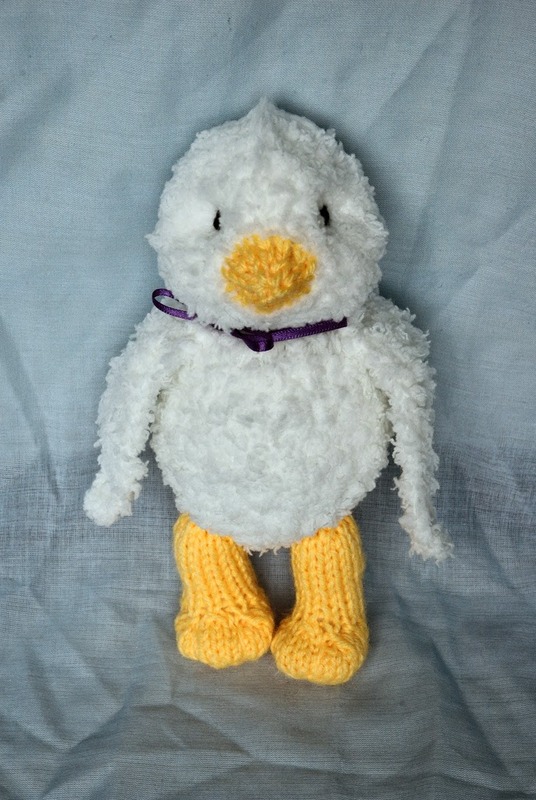 I made my first Silly Duck in April of 2007, just a few months after I started Fuzzy Mitten. I was still learning how to design toys, and my first attempt didn't really look much like a duck, which is why the pattern got named "Silly Duck"! I was really happy with the wings (and they've never changed), but I couldn't figure out how to make duck feet, and the bill was made from felt. This toy is still hanging around somewhere, after all these years! 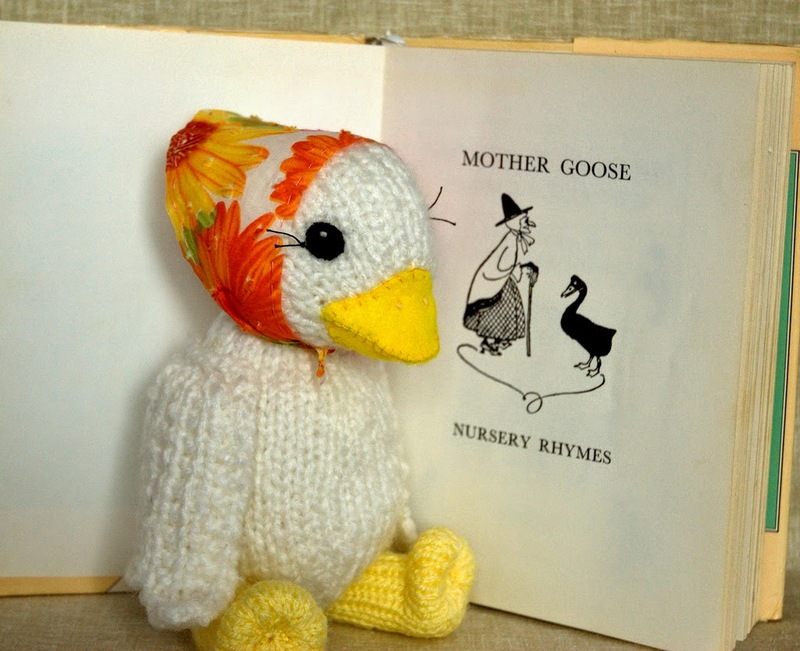 Abby the Goose was my second attempt, in white yarn, with a more realistic bill shape. I still hadn't fixed the feet, though. This fluffy duck I designed for a little booklet of Easter patterns. I'm sure you've seen this yarn in craft stores - it's so soft and fluffy to touch, but it's made of nylon, and it was so hard on my hands when I was knitting! I made him a knitted bill, but it's not really the right shape. 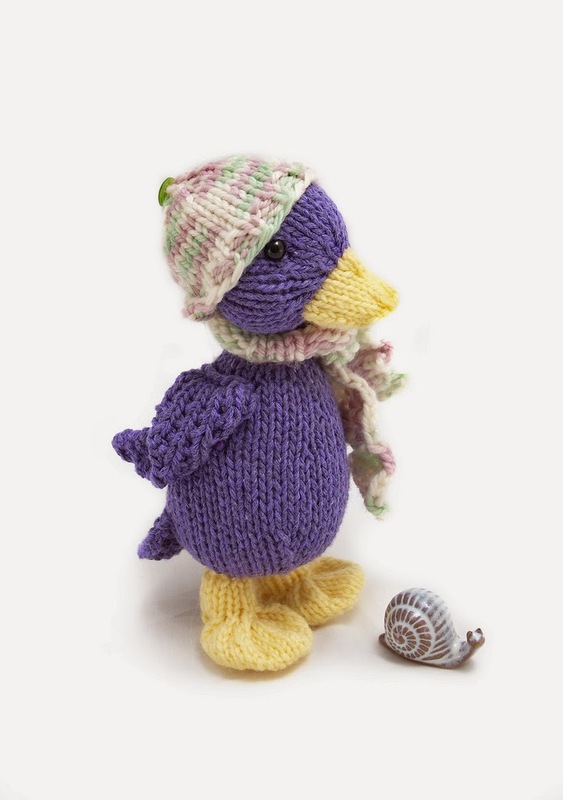 Finally, when I was updating my Fuzzy Knits collection of patterns a few years ago, I decided to fix all the things I didn't like about my Silly Duck pattern. The body was reshaped to be a little more duck-like (it's got a much bigger bottom than my other toys). I designed a knitted bill with a more realistic shape. You do have to sew it on, but that also gives you more control over the final shape. And, at last, my Silly Duck got big, flat feet! In the end, it was just a matter of expanding and squashing the shape I was already using. The right yarn makes a big difference too. 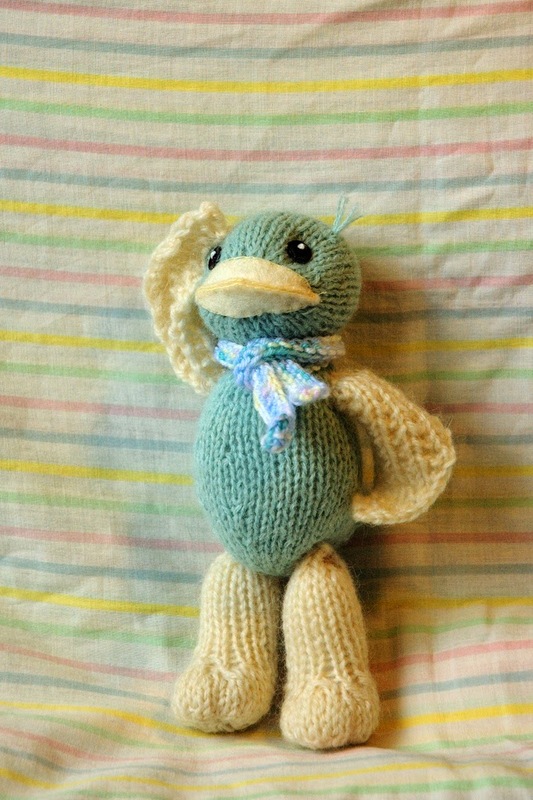 The final toy was knit with a cotton/bamboo blend yarn, and the shiny bamboo fibers look just right for duck feathers. 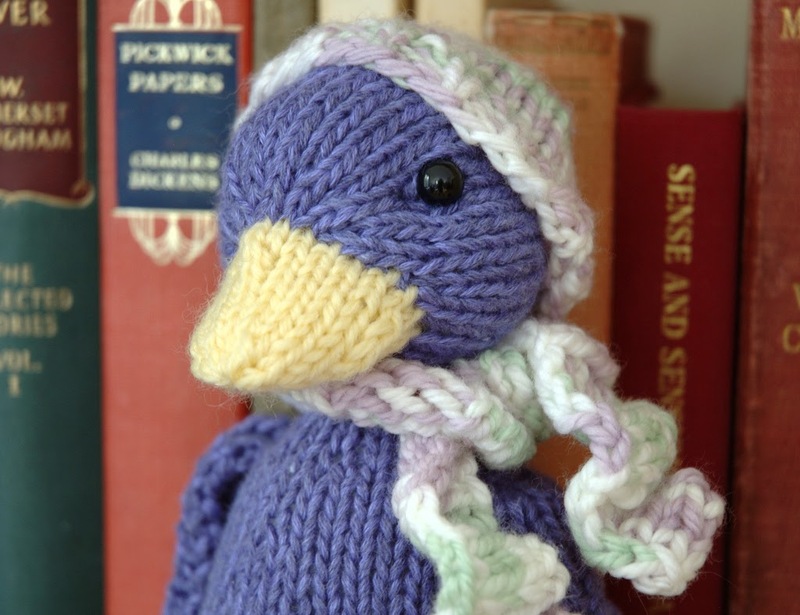 However, I've also seen some very sweet Silly Ducks made with fluffy yarn, if that's what you prefer. It may only be a couple weeks until Easter, but this pattern is relatively easy (advanced-beginner level), and can be made over a few evenings or a weekend. I think it makes a lovely change from the usual Easter Bunnies that children tend to get! Posted by Barbara Prime at 9:34 a.m.